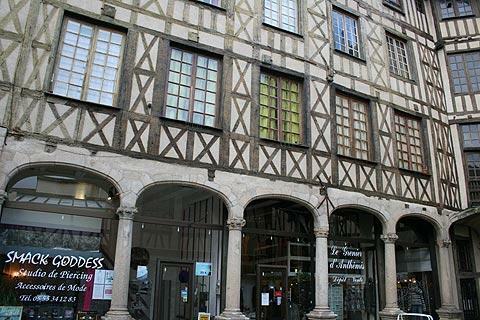 Limoges is the 'capital' (prefecture) of the Haute-Vienne department and Limousin regions of France. While it does not usually feature high on the tourist trail, there are various sights of interest here and a visit is well worth the time if you are staying in the vicinity. The town has a long history dating from the early middle ages. The early prosperity of Limoges was closely linked to the porcelain industry. There are some very fine buildings to visit in Limoges, with the most notable of these including the train station, the town hall and the splendid gothic style Cathedral of Saint-Etienne, constructed over an extensive period from the 13th century right through to the 19th century. 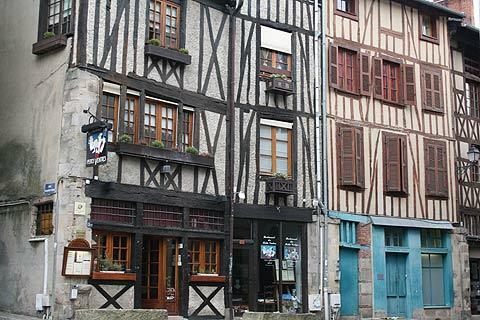 In the Cour du Temple you can see some grand half-timbered townhouses, a heritage to the rich past of Limoges. The main sights of Limoges are centred in two main areas. 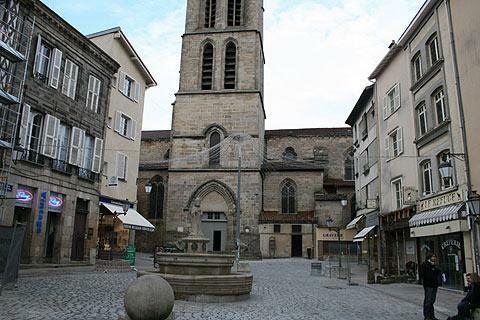 Start your visit at the tourist office on Boulevard de Fleurus, then first explore the 'Quartier Historique du Chateau' with the Church of Saint Michel and the Village de la Boucherie; then explore the area surrounding the Cathedrale Saint Etienne. The Quartier Historique du Chateau is strangely named as there is no chateau here but there are various other places to visit. The most important monument in this part of Limoges is the Church of Saint Michel des Lions. This is a distinctive church with a copper ball on the top of the bell tower and two stone lions from Gallo Roman times guarding the door. The stained glass windows inside are in gorgeous rich jewel colours. 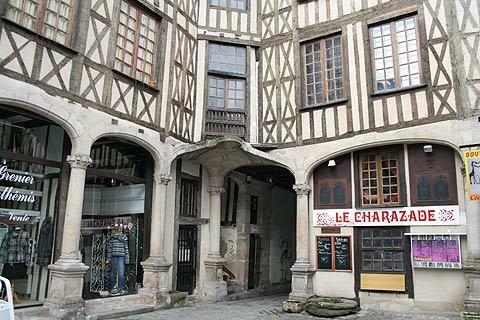 Nearby you can see the Cour du Temple, a paved courtyard with historic half-timbered buildings and columned arcades. 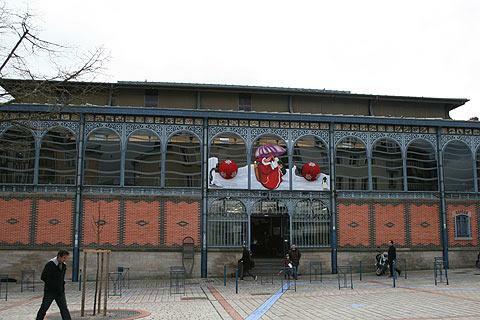 Also near to the Church of Saint Michel is the Place de la Motte which is where you can visit the covered market in Limoges. It is an attractive building with blue tiles and red-brick markings. The market is on the edge of the Village de la Boucherie. In the 14th century this district was inhabited by families belonging to the brotherhood of the butchers. 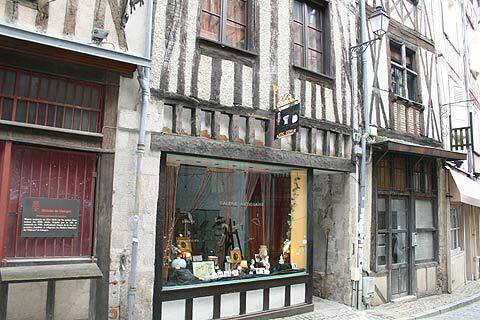 This is a charming area with half-timber buildings and interesting shops: number 36 can be visited and still has its original furniture. 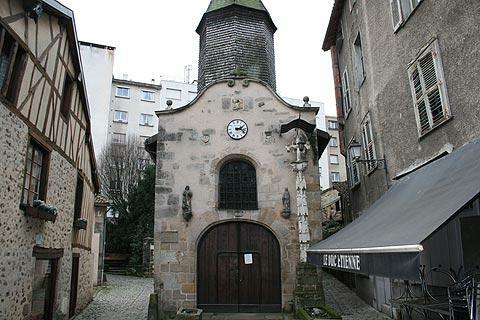 In the middle of the Boucherie area is the Saint Aurelien's chapel, a tiny chapel built at the end of the 15th century to house the relics of the patron saint of butchers. The chapel has an unusual steeple with wooden tiles. 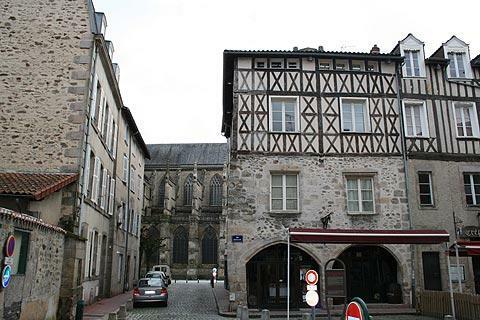 At the opposite side of this area of Limoges is the Church of Saint Pierre and the Verdurier Pavilion. 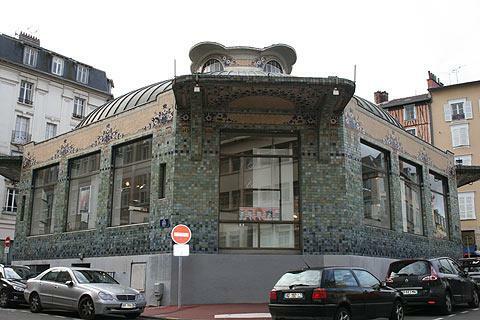 The Verdurier Pavilion is a wonderful building decorated with floral decorations and stoneware mosaics - you might not guess that it was originally built as a cold-storage room for meat imported from Argentina! Nowadays it is used for Art exhibitions. On the eastern edge of this quarter is the Place Denis Dussoubs. This square is unusual because it is round and is a lively 'square' whose attractive ochre-coloured buildings are now home to cafes and restaurants. On the other side of the Boulevard Louis Blanc and the Boulevard de Fleurus you can explore the Quartier Historique de la Cité and the Cathedral of Saint Etienne. The cathedral was started in 1273 although it took six centuries to complete. 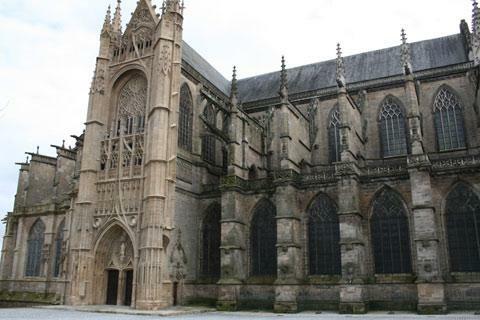 It is a large Gothic style cathedral which is unusual in this part France as these are usually only found to the north of the Loire. Next to the cathedral are the Bishop's Gardens which are large formal gardens with lawns and ponds that lead to a viewpoint over much of Limoges. Allow some time to wander through the Limoges botanical gardens, then continue to the section of the town along the Vienne River which is a pleasant place to escape from the crowds. Here you can also admire the 13th century stone bridge across the river. Limoges porcelain: if you are interested in porcelain you will be interested to see tht the river path passes next to the 'Ancien Four a Porcelaine des Casseaux' where you can visit a kiln dating from 1904. If you prefer to browse the porcelain shops then head for the Boulevard Louis Blanc which is known locally as Porcelain Boulevard. As well as these two historic areas, Limoges is also very proud of its train station. The staion is to the north of the historic quarters and is an impressive building which has a 61 metre high clock tower and a 31 metre high dome, both of with are topped with copper. It also has some fabulous Art Deco stained glass windows. Limoges Town Hall is another notable building where the Louis XIII and neo-Renaissance styles merge together. It was designed by the architect of the Palace of Versailles and the Trianon so perhaps it is no wonder it's a splendid building. Limoges is a 4 star 'ville fleuri' and has a number of attractive parks with more than 400 000 flowers planted each year. It won the 'towns in bloom' gold medal in 2001. The importance of porcelain such as enamel work and china to the history of the town, although no longer significant, is displayed in museums in Limoges The National Porcelain Museum has some very impressive examples, both produced by local companies and other examples from around the world. 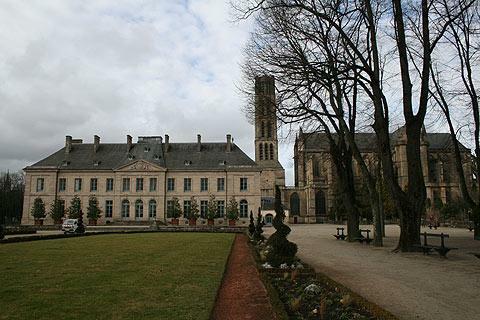 More important historical examples of the enamels and porcelains for which Limoges is famous can be seen in the Bishop's Palace Museum (the Musée de l'Eveché), a large 18th century building. In this museum you can also see a collection of impressionist paintings including some by Renoir, who was born in Limoges. 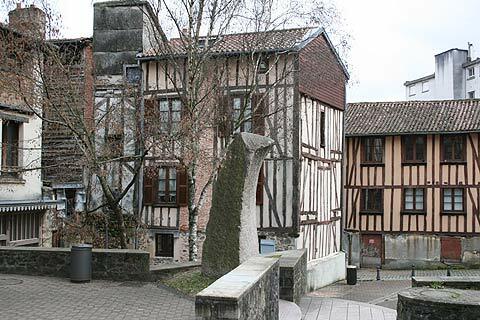 Other museums in Limoges include the Museum of the Resistance (perhaps to visit before or after a visit to nearby Oradour-sur-Glane) and a Museum of Butchery! You can find more local travel ideas in the Haute-Vienne guide and the Limousin guide.